How can I separate/duplicate Smart Object Layers displayed twice to be able to edit individually in Photoshop? I have a mock-up of two boxes that I'm editing but unfortunately there is only one smart layer per box - meaning the design of both boxes ends up being the same. As I want to have two different boxes, I need to be able to edit the smart object layers of each box individually. Does someone know how I could do this? 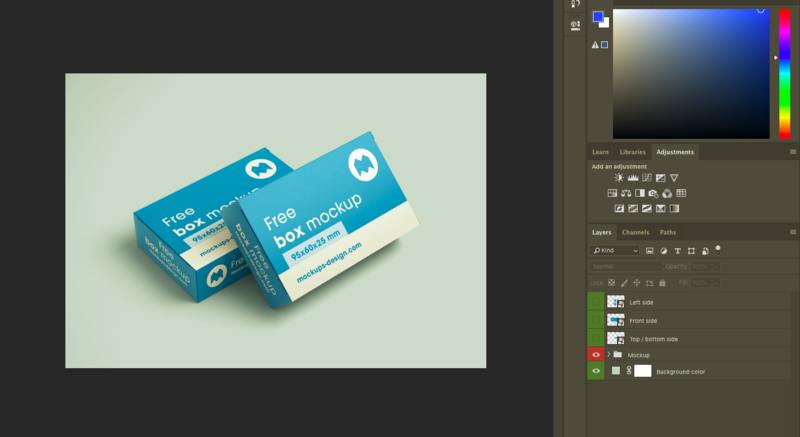 Here a screenshot of the mock up, as you see on the right there are only 3 smart layers (left, front, top) which end up editing the design of the boxes to be exactly the same. and choose New Smart Object Via Copy from the Contextual Pop Up Menu. This duplicates the smart object but breaks the link to the other smart object(s) - creating an unconnected smart object with the same contents. Afterwards, edits to the new smart object will not be updated in the other smart object(s). Not the answer you're looking for? Browse other questions tagged adobe-photoshop smartobject or ask your own question. 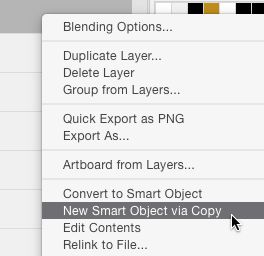 How can I duplicate multiple smart objects in Photoshop CC? Using a Smart Object as a mask for another layer? How to edit the smart object in this Photoshop template? Can I update multiple text layers simultaneously in Photoshop CS6?